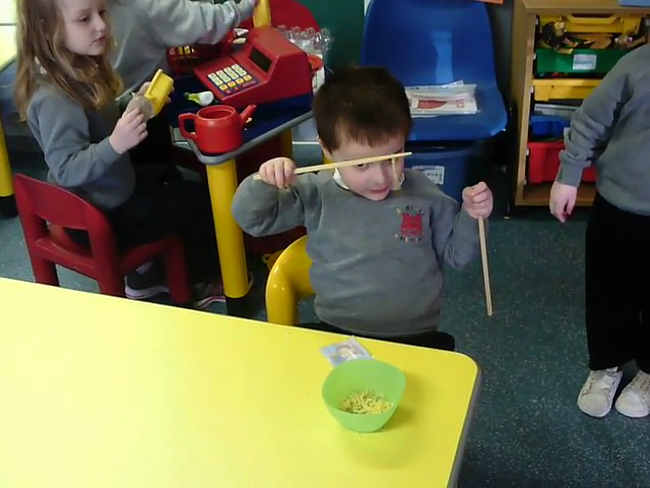 In nursery we had lots of fun celebrating Chinese New Year. Did you know we were born in the year of the rabbit and the dragon? For snack that week we got to taste some Chinese foods. 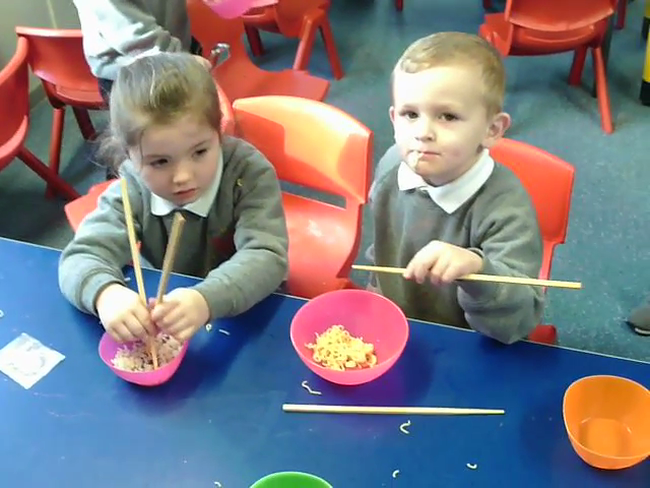 We loved using the chopsticks to eat our noodles. Mrs Jones even taught us how to say Happy New Year in Chinese.